Who Was Michael Rockefeller - Nelson Rockefeller's son, What Happened To Him? Home Travel and History Who Was Michael Rockefeller – Nelson Rockefeller’s Son, What Happened To Him? Michael Rockefeller was a descendant of the renowned Rockefeller family; one of the wealthiest and most influential families that the world has ever seen. The young man mysteriously disappeared in 1961, at the age of 23 while on an expedition to Dutch-administered New Guinea. His disappearance remains one of the most intriguing unresolved mysteries of the 20th century. So then, what happened to Michael Rockefeller? Is he alive or dead? If dead, how did he die? 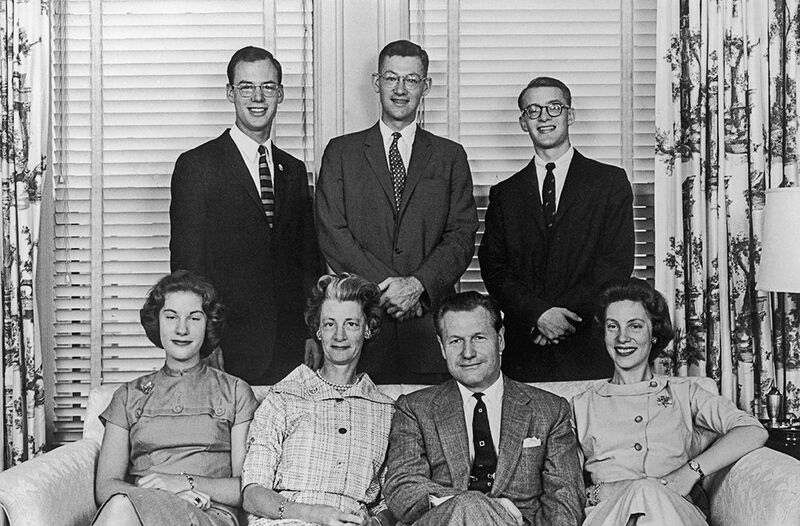 Who Was Michael Rockefeller – Nelson Rockefeller’s Son? Michael Rockefeller was a fourth generation member of the Rockefeller family, one of the wealthiest families America ever produced. The Rockefeller dynasty was founded by Michael’s paternal great-grandfather John Davison Rockefeller Snr. Rockefeller Snr initially made his fortune from oil refining. At a point, his company, Standard Oil refined 90% of American crude oil. The family also had interests in banking, finance, real estate, and politics. Michael Rockefeller was born on the 18th of May 1938. His father was Nelson Aldrich Rockefeller, a former governor of the state of New York as well as a former Vice President of the United States of America. His mother was Mary Todhunter Rockefeller. He had three other siblings and a twin sister named Mary. Michael attended several prestigious educational institutions including The Philips Exeter Academy in New Hampshire as well as Harvard University where he studied history and economics. At the time of Michael’s disappearance in 1961, his father was the governor of the state of New York. The father would later run for President in 1960 before serving as Vice-President of the United States between 1974 and 1977. While growing up, Michael Rockefeller fell in love with art thanks to his parents who were both art enthusiasts. According to his twin sister Mary, he loved watching his father arrange his art collection. In February 1957, Michael’s father opened The Museum of Primitive Art. The museum carried art and artifacts from different pre-historic societies; they included a wooden facemask from Nigeria, a hand-carved paddle from Easter Island as well as Mayan stone figures from Mexico. The museum was Nelson’s pride and joy. Michael, who at that time was still pondering which career path to take, decided to make his father proud by going on expeditions and sourcing these pieces of art directly. It was a win-win situation as he himself was an art lover. In order to gather the necessary experience, he signed up as a sound engineer on a Harvard expedition to New Guinea. While there, he took some time off to study the Asmat tribe who were renowned for their woodcarving skills. At the end of the Harvard expedition, he decided to return to the Asmat tribe to collect artifacts that could be exhibited in the museum. He was accompanied on the trip by a Dutch anthropologist, Rene Wassing. Loaded with articles such as tobacco and steel which they could batter with the natives, the duo set off in October 1961. They visited 13 Asmat villages within a period of three weeks, gathering a number of precious items such as shields, bowls, spears, paddles, drums, and canoes. One of their most prized collections were 20 feet high poles carved by the Asmat known as Bisj poles. The Asmat people believed that it embodied the soul of their departed ancestors. 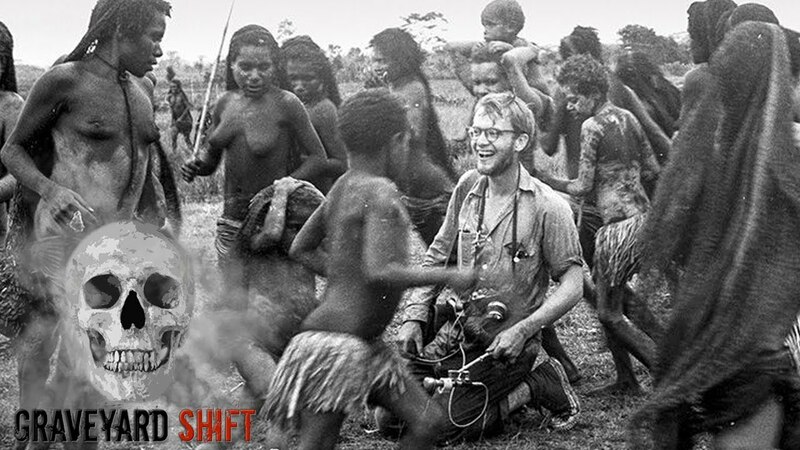 Buoyed by the success, Michael Rockefeller returned to the nearest town of Agat so that he and his companion would stock up on supplies and return to get more items from the Asmat tribes. After restocking, they set off once again on the 17th of November 1961, alongside two young local guides. As they were crossing the Besj River, there was a violent storm which caused their wooden boat to capsize. The two guides, who were expert swimmers, decided to go back to Agat and get help. Michael and Rene Wassing remained on the boat for the next 24 hours without any help coming. On the next day which was 19th November, Michael decided to swim to shore (which was about 19 kilometers away) and get help as their boat kept drifting further back into the open sea. His companion told him not to go but he felt that he could make it. Michael stripped down to his undershorts and attached two gallons to himself as a sort of lifeguard and thereafter set off for the shore. That was the last that anybody saw of Michael Rockefeller. By afternoon that same day, the rescue helicopters sent by the Dutch colonial government spotted Wassing and rescued him the next morning. The colonial government, as well as the Rockefellers, did not spare any effort in finding Michael, whose father was the governor of New York at the time. Numerous ships, helicopters, and planes were deployed in the search effort but all to no avail. The Rockefeller money, power, and influence proved useless. The story captured the attention of the world media. Michael’s remains were never seen and after a while, the search efforts were called off. It was concluded that he had drowned. Michael Rockefeller was declared legally dead in 1964. His official cause of death is drowning. This has been the subject of speculation for a very long time. It has been the topic of many TV shows, novels, and books. In 2015, Netflix aired a documentary titled The Search for Michael Rockefeller. Some are of the opinion that he died either from exhaustion or cold while some believe that he may have been eaten by sharks. Yet another group is of the view that he was taken prisoner by the natives and lived amongst them. Some others say that he was a victim of cannibalism and headhunting. In 2014, veteran author Carl Hoffman released a book tilted Savage Harvest: A Tale of Cannibals, Colonialism and Michael Rockefeller’s Tragic Quest for Primitive Art, detailing his research into the disappearance. In the course of the research, Hoffman consulted Catholic priests who served as missionaries in the area at the time. He also traveled to New Guinea where he met with members of the Asmat tribe; and went through cables and telegrams exchanged between officials of the Dutch colonial government. See Also: Who Was Ota Benga, Why Was He Brought To The United States? The conclusion was that Michael Rockefeller was killed by members of the Asmat tribe (specifically Otsjanep village) as a revenge for five of their men who had been killed by the Dutch colonial authorities earlier in 1958. From what Hoffman gathered, Michael made it to shore but he was very tired. He was immediately surrounded by about 50 men. They first speared his lung before killing him with a blow to the head. They then proceeded to decapitate and roast his body which they ate. Some parts of his body, such as his skull, were however preserved. An investigation conducted by a Dutch official in 1962 came to the same conclusion, that Michael made it to shore but was killed. Till this day, Michael’s family do not accept Carl Hoffman’s version of events; they hold onto the view that he drowned. One cannot blame them as the details of his death, as presented by Hoffman, were gruesome. The artifacts that Michael Rockefeller collected are housed in a wing named after him in The Metropolitan Museum of Art in New York. The pictures he took have also been exhibited at the Peabody Museum of Anthropology and Ethnology.